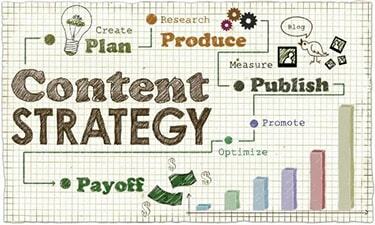 Content marketing has become an integral part of an overall B2B marketing strategy. The B2B Content Marketing 2018 Benchmarks, Budgets, and Trends—North America report found that an overwhelming 91% of B2B marketers use content marketing. Companies are investing increasing amounts of time and money in content marketing in the hopes of gaining customers. However, these investments need to be made wisely. Content marketing is continually evolving. Organizations should invest in emerging trends in content marketing that explore new ways of using data, content formats, and distribution channels. Here’s a closer look at 5 key content marketing trends for 2018. AI makes the most of unstructured data gathered through customer interactions. Comments made on social media can be analyzed using natural language processing that draws associations between conversational threads. Customer sentiments can be gauged and used to make product recommendations. Machine learning processes huge volumes of data to draw hypotheses about customer behaviors and future needs. Conclusions drawn by AI can be used to develop or optimize a content strategy based on what customers search for and what channels they frequent. Marketers may use AI to gain a deeper understanding of who their customers are so they can segment them. Complex data about customer demographics and purchasing histories makes it possible to target and retarget marketing messages. Visual marketing grabs your audience’s attention and helps customers retain information about your brand. The latest trend in visual marketing is video. Video allows your company to show your products in action. Potential customers are particularly drawn to how-to videos that show them how to use your products or services. When making videos, you want to steer away from overtly sales-oriented videos and offer educational ones instead. These videos might take the form of a talk show or webinar. Many social media platforms have created live video features for an exciting element of immediacy. Your company can promote its videos through other forms of content, such as blogs or emails. For SEO, you should tag the video and include transcripts. 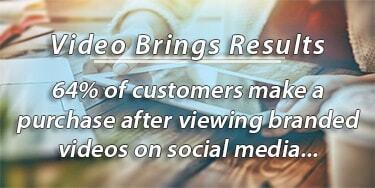 Video brings results. The Content Marketing 2018 Final Call for Boarding infographic shows that 64% of customers make a purchase after viewing branded videos on social media. While it shouldn’t be your primary goal, aspire to make one of your videos go viral, creating tons of free publicity for your company. Social media platforms are ideal forums for publishing marketing content. You can post images and short-form videos as well as links to long-form content, such as eBooks, blogs, webinars, and white papers. Your company can use social media to initiate conversations with customers who comment on, like, or share your posts. Social media provides a wide audience for your marketing content. Researchers at GlobalWebIndex discovered that 98% of digital consumers use social media. Facebook is a force to be reckoned with in the world of social media. 90% of respondents reported having a Facebook account. Nothing is more annoying than receiving an offer that is completely inappropriate. Content personalization makes potential customers feel as though your company is speaking directly to them. Companies can draw on purchasing histories, emails, mobile activity, and website visits to paint a picture of their customers that can be used to customize marketing content. Making personalization part of your formal marketing strategy can be profitable. According to the 2017 Personalization Development Study, 79% of marketers that surpassed their revenue goals used a documented personalization strategy. Customers who feel that they are being treated as individuals develop a strong feeling of brand loyalty that brings them back again and again. Customers use many channels to research and purchase products. Before they make a purchase, customers may interact with a brand numerous times, either offline or online. Companies need to create content for many channels to ensure they are accommodating potential buyers at every stage of their journey. Marketing content needs to present a consistent brand identity no matter what channel you use to publish it. Choosing branding guidelines and maintaining a consistent tone will help you do this. Content also needs to be responsive so it can easily be read and navigated whether it appears on a desktop or mobile device. Digital marketers must move quickly to keep up with the pace of change. New social networks are emerging every day, and the existing ones are continually developing new ways for users to communicate. Customers also change their ways of interacting with brands and each other. Companies need to adapt their content to accommodate these changes if they want to stay competitive. TSL Marketing understands that developing winning marketing strategies means continually innovating. We have developed our agile marketing methodology to help our clients reach customers more effectively. 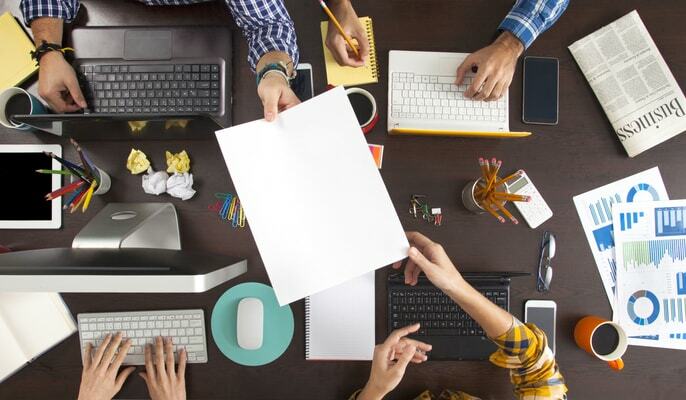 Is your company’s marketing strategy on-trend? If not, let TSL Marketing help you get there. Click here to read our Technology Providers Guide to Marketing in 2018 and get an inside look at what leading tech companies are doing to promote their products and services.